Part of the 2017 Hawai‘i Woodshow, Na Lā‘au o Hawai‘i programming. Honolulu Museum of Art School instructor and avid bicyclist Barret Werk will be doing a bamboo working demonstration. Inside the gallery you will find one of his finished bamboo pieces on display. Want to use bamboo to build your own bike? 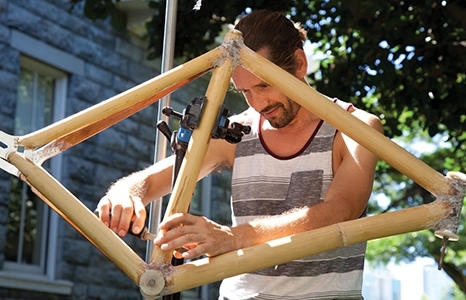 Werk offers a bamboo bike building workshop at Spalding House!